Reis & Irvy’s franchisees in Australia, like its U.S. franchisees, will be able to access real-time sales reports, inventory data, warning alerts and loyalty reward programs thanks to Nayax’s management and telemetric capabilities. Reis & Irvy’s selected Nayax because cashless payments are vital to the Australian market, where cash is rarely used, and contactless payment plays an important part of Australian consumers’ payment experiences. 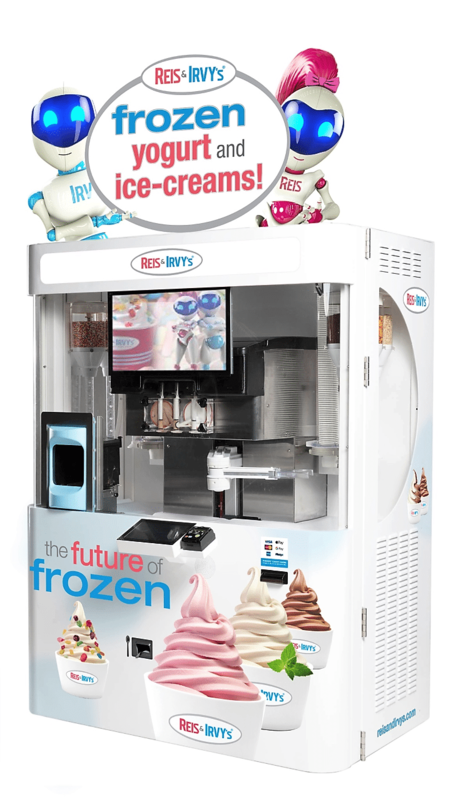 The robotic machines dispense frozen yogurt, ice cream, sorbets and gelatos.